Saving For Your Future » Pensions » PensionBee Review – is it the best way to find and consolidate your pensions? 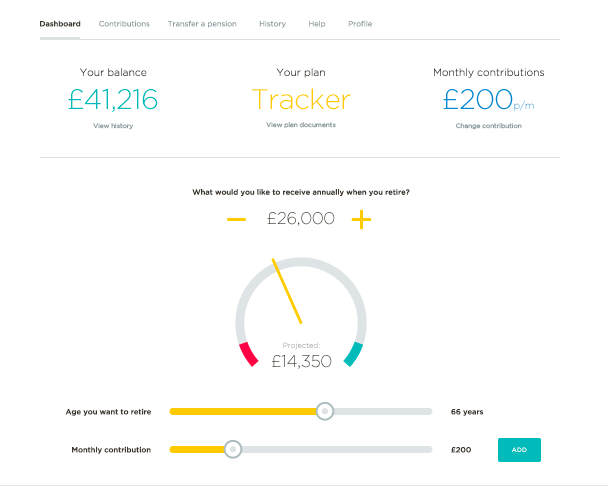 PensionBee Review – is it the best way to find and consolidate your pensions? In this independent PensionBee review I look at whether PensionBee is the best way to consolidate your pensions. As one of the most widely quoted investment experts in the national press I analyse PensionBee's charges, proposition and its investment performance. On top of that I have personally visited PensionBee's offices on numerous occasions to grill them over their processes and ethics. I've broken down this PensionBee review into sections but I suggest that you read the full review from beginning to end because, in short, I think PensionBee is suitable for certain people but not all (I explain who exactly in the full review). If you want to jump to a particular part of this PensionBee review then use the links below. What are PensionBee’s fees and how do they compare? Who should consider using PensionBee? PensionBee was launched in the UK in 2014. Based just outside of London's financial centre they are attempting to innovate the UK pension industry by making it easier for people to locate and consolidate their existing pension plans. They are authorised and regulated by the Financial Conduct Authority. Despite being a relative newcomer to the industry they have already amassed over 139,000 customers. Most UK consumers only engage with saving for their retirement when they are enrolled into their employer's pension scheme. With most adults in the UK changing employers every few years it means that they can end up having several small pension pots stuck in past employers' pension schemes. Typically people lose track of these pensions over time and forget that they even have them (or they've lost touch with the previous companies that they've worked for) when they come to retire. However, it's not just an issue at retirement. Many of these pension pots will languish in poorly performing pension funds with high charges. As a Certified Financial Planner (CFP) I would always recommend that consumers review their pension planning which includes finding and optimising their existing pension plans and consolidating them where it is appropriate. By doing so they can ensure that they minimise the impact of investment charges while optimising investment performance and the growth of their pension pot. At present you can trace lost pensions using the free pension tracing service but it is a long winded process and then you are still left with deciding what to do with them. With only 1 in 10 UK consumers seeking financial advice it means that most UK consumers are are not planning for their retirement. Historically pension products have been a minefield of high charges, hidden caveats and complex legislation. However, in the last decade I've seen this radically change thanks to regulatory changes, increased competition between pension providers and technology. PensionBee is harnessing all three of these to provide a service that will locate your existing pension pots and consolidate them into a new low cost pension plan (I look at their charges and performance later in this article). The first thing to point out is that PensionBee does not provide financial advice. Where this becomes an issue is if you have an existing final salary pension or a pension with over £30,000 of guaranteed benefits then current pension rules stipulate that you have to take financial advice before you can transfer it. While PensionBee can facilitate the consolidation of any of your other pensions I would suggest that you speak to a financial adviser before you do anything else. If you don't have a financial adviser already then you can claim a free financial plan worth £500 for a limited time via this link. For those people with existing personal pensions or money purchase arrangements from past employers then PensionBee can consolidate these at no initial cost, into a cheap pension plan which is managed by a third party investment company (BlackRock, State Street Global Advisors or Legal & General). Having grilled the founders of PensionBee, their desire to champion the consumer is central to their business. It's led to lobbying Parliament to facilitate faster pension switching (on a par with current account switching) because, despite the wave of new entrants, facilitating a pension transfer is still a time consuming and laborious process. It is important to point out that there is nothing to stop you using PensionBee to consolidate your pension plans into a low cost pension and ultimately transferring elsewhere later. PensionBee do not charge you for consolidating your pension nor do they charge exit charges. I was quite frank with PensionBee on this point but they have deliberately set their proposition up this way showing their belief in their product and services. That is probably why PensionBee's proposition has attracted over 139,000 customers in such a short space of time and been scored so highly by its customers on Trustpilot. How does PensionBee actually work? When you first start with PensionBee you have to choose between one of seven plans. PensionBee does not provide any recommendation as to which plan would suit you. However I've analysed the plans and there is not much to choose between PensionBee Match and PensionBee Tracker, for example. They have marginally different asset mixes as shown in the table below. The main difference is that the BlackRock fund has some exposure to alternative assets which can include commodities but also property. At the same time, it has a slightly lower UK equity exposure making it arguably more diversified than PensionBee Tracker. If you want to find out the asset mix of the other plans the factsheets are available on their website. The PensionBee Future World portfolio was only launched in October 2017 and is 100% invested in equities with no exposure to low-risk assets such as bonds, cash or gilts. This is clearly a response to demand for a higher-risk portfolio for those with small pension pots trying to maximise their investment returns but also those wanting to take a more ethical approach to investing. The underlying Legal & General fund invests with the environment in mind. That usually means avoiding companies with high oil, gas and coal exposure while favouring those with low carbon emissions that generate revenue from green sources. However the Future World plan states that it also invests in companies that are less carbon intensive or earn green revenues. I imagine it is the latter that allows it to justify investing in Royal Dutch Shell who some would argue has a less than stellar environmental record. Having said that, this same observation can be levelled at nearly every ethical fund out there, not just at PensionBee's ethical solution. There is a bit of a myth that ethical investing limits your investment returns. This isn't actually true. Ethical funds tend to have a style bias such as investing in smaller companies or have a skew towards financial and technology firms. PensionBee Future World follows this trend with 2 of its top four holdings being Apple and Microsoft. Consequently, the fund has almost 50% of its assets in US equities with 8% in Japan and 7% in the UK. The rest is spread globally. Ethical funds do well when the investing environment favours these biases, which it does at present with Apple often leading the US stock market. Put simply the PensionBee Future World plan is the equivalent to a managed global equity fund. The PensionBee Tailored plan on the other hand is akin to what is often referred to as 'lifestyling' in the rest of the pension industry. The further you are away from your chosen retirement age (i.e the younger you are) the more investment risk you can afford to take. That's because while riskier assets (such as shares) provide a better opportunity to make more money than safer assets (such as bonds and cash) they also carry a greater risk of falling in value. The younger you are the more time you have for your portfolio to bounce back. Conversely the older and closer you are to retirement the less investment risk you want to take. Lifestyling automatically moves your portfolio from riskier assets to safer assets the older you get which is sensible. PensionBee's Tailored plan does just that. However the plan isn't bespoke to you as a person but rather you are placed in a version of a BlackRock Lifestyling fund where the maturity date is similar to your retirement age. Then 10 years prior to retirement the fund starts taking less risk. The PensionBee 4 Plus plan aims to achieve long term growth of 4% per year by actively managing your money over a range of investments. 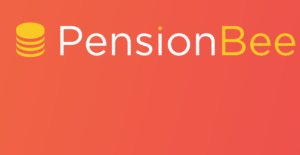 The range of assets are adjusted on a weekly basis depending on market conditions and PensionBee say that this plan could be suitable for 'Anyone who is considering accessing their pension in the near to medium term and wishes for their returns to be actively managed by experts in the meantime'. The PensionBee Shariah plan is as you would expect, a plan that invests money into Shariah-compliant companies and is aimed towards people who wish to invest according to their faith and those that want to invest responsibly. The PensionBee Preserve plan makes short-term investments into credit-worthy companies, focusing on reducing risk and thus preserving your money. This plan is very low risk and will typically return less as a result. PensionBee doesn't provide any risk profiling to help you choose between the seven PensionBee plans however my analysis of two of the most popular plans' performance and risk management (see below) should help. After you have chosen your desired plan you then provide as much detail as you can about your existing pension plans you wish to consolidate. PensionBee will then begin finding your existing pension plans and will notify you if any of them have guaranteed benefits or exit penalties over £10. Assuming there are no hurdles then they will get on with the tedious task of facilitating the transfer of your pensions into the PensionBee pension plan you've selected. Once the wheels are set in motion you don't need to do anything but all the while you are free to change your mind within 30 days. Eventually you can then manage, top-up and view your PensionBee pension online (as shown below) or via their smartphone app. The latter is particularly attractive for those who wish to make adhoc pension contributions, such as the self-employed. PensionBee's charges range from 0.50% to 0.95% a year depending on the plan you choose and they will halve the fee on all investments over £100,000 (so if you had a pension fund worth £150,000 in the PensionBee Tracker plan, you would be charged 0.50% on the first £100,000 and 0.25% on the remaining £50,000) If you click through to the PensionBee charges page you can check the fees for each plan and they are very competitively priced, especially when compared to other pension providers such as Hargreaves Lansdown and Nutmeg. I wouldn't obsess over whether the numbers used are definitive representations of the exact costs of getting an equivalent product from the other providers. However, based upon PensionBee's stated charges it would make their pension product one of the cheapest in the market irrespective. The PensionBee provides factcheets for each fund the factsheets aren't that useful for judging how good each fund's performance has been versus its peers. So I have personally analysed the plans and pitched them against the average active managed fund and the leading passive tracker fund with equivalent equity exposure. Active funds are those run by fund managers who make judgement calls on where to invest and typically are more expensive (between 1.5 and 2.5% per annum). Passive funds on the other hand simply track chosen market indexes and are run by computer algorithms. Therefore they are cheaper to run (as low as 0.2% per annum). PensionBee uses passive funds. There is much debate over whether active fund managers deliver the outperformance they promise, all the while making themselves huge profits from their high fees. Over the long term they don't, but can occasionally over the short term they do. For the passive tracker benchmark I used the market leading Vanguard Lifestrategy 80% equity fund and the Typical multi-asset managed fund was based upon the sector average for the Mixed Investment 40-85% Shares unit trust sector. One of the criticisms that have been pointed in the direction of PensionBee is whether the government's planned Pension Dashboard will make PensionBee's biggest selling point of finding and consolidating pensions online obsolete. The Pension Dashboard was earmarked for a launch sometime in 2019 and is supposed to allow everyone to see where all their pension pots are, how much they are worth and their potential retirement income. Even if the dashboard is delivered on time, it will simply show information to consumers and won't allow any form of consolidation. Of course an individual could take the dashboard information and use other services or indeed a financial adviser to consolidate their pensions. However early prototypes have encountered issues obtaining data from pension providers as well as losing key governmental support, a result of the UK election. The upshot is that the Pension Dashboard is a long way off, if it ever arrives, and its functionality is going to be limited. If you don't have a final salary pension and are looking to spring clean your existing pension pots and consolidate them then PensionBee is a viable option. This is especially true if you prioritise ease of use, acceptable fund performance and low costs over investment choice and the ability to run your own investments yourself. In addition, the self-employed will also be attracted to the ease of use especially when it comes to topping up your pension in an adhoc fashion via the app. However you can only take out a PensionBee pension if you are consolidating existing pensions into it. Have a quick look at PensionBee's FAQ tab as it covers some important considerations. The pension product does now offer the ability to withdraw adhoc amounts from your pension when you reach age 55 but it does not offer full drawdown with the ability to set up regular pension withdrawals online. Apparently it is possible to set up regular withdrawals if you call PensionBee. Any adhoc withdrawals are non-advised which means that you have to read and agree to a series of interactive risk warnings before the payment can be processed. If you want to purchase an annuity or transfer your pension pot to another pension provider in order to access full drawdown then you are free to do so. So PensionBee is still best suited to those still growing their pension pot rather than those wanting to take an income from it. What protection is there is if I make the wrong decision or PensionBee goes bust? PensionBee does not give regulated advice and as such the choice to move your pensions is yours alone. 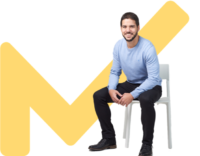 However you can change your mind within 30 days of transferring a pension to PensionBee and they will send the money back to your previous provider, assuming they will accept it, without any charge. If PensionBee was to go bust customers would get back 100% of their pension. PensionBee pensions are protected via the Financial Services Compensation Scheme (FSCS). Cleary PensionBee's customers like their ethos and product. On Trustpilot they have an average score of 9.1 out of 10 from over 900 reviews and below are some examples of some recent customer reviews. 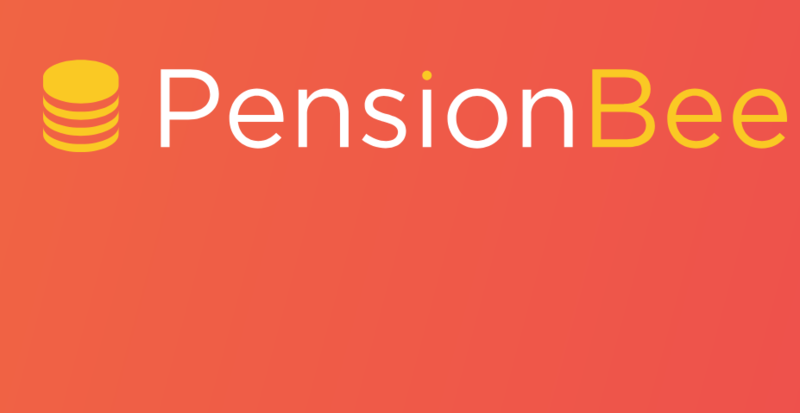 If you are looking for a low cost hassle-free way to consolidate your pension pots (excluding final salary pension) then PensionBee is worth considering especially as they do not lock you in with exit penalties. This leaves you free to move at a future date. However their acceptable investment fund performance, low cost and slick app interface have clearly been integral in them gaining over 139,000 customers so quickly. If you have a final salary pension that you don't know what to do with then read my article 'Should I transfer my final salary pension'. The pension exit charge cap – putting votes ahead of consumers’ needs?